I've been trying to work through a fairly large backlog of unprocessed photos. This last weekend I was plowing through a pretty big collection from a trip to the North Carolina Zoo back in January. The shots are mostly decent-but-ordinary family snapshots, mixed in with a few nice contextual portraits of the kids and a small handful of genuinely interesting (to me, anyway) photos. 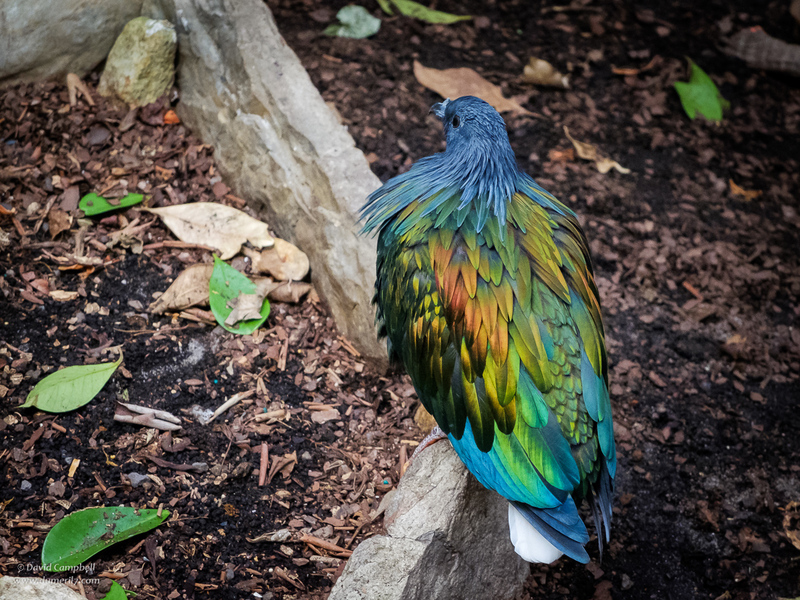 By far, the best from the last category are some photos of Nicobar Pigeons in the zoo's aviary. The closest living relative to the extinct Dodo, apparently Nicobars live a relatively predator-free and isolated environment and so have developed extraordinarily colorful plumage. My zoo photos were taken with the Fujifilm X20. I still love shooting with this camera because of its size, form factor, and controls. It's just fun and satisfying to shoot pictures with. And I like the fact that isn't a system camera. The fixed lens prevents you from worrying about the lenses you don't have and encourages you to get on with it and shoot! But I have to admit, since acquiring the D7500, I'm really noticing the limitations of the X20's image quality. It didn't bother me much before, but the D7500 puts the benefits of a larger sensor and 5 years of technological advancement into very sharp relief. It's spoiled me. One day I need to upgrade, but it's not high on the priority list.